The Tories, not content with waging their ideological war on education through the turbocharged privatisation of schools and education in general, have continued to show their true colours through their recent budget announcements. The current ‘Funding Freeze’ on education coupled with the National Funding Formula will see mainstream schools face sweeping cuts of £3bn from the overall budget. Never ones to be socially divisive in half measures, the Tories have also decided to set aside £320 million for new grammar schools and free schools. 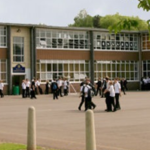 This is at a time when many state schools are in a state of disrepair, and when the National Audit Office estimates that £6.7 billion is needed for repairs and refurbishment. Back in 2015, the Conservative Party pledged in their manifesto that they would continue to protect school funding, but as usual nothing is quite so straightforward when it comes to Tories and their promises. What it actually means for schools is that the budget will not increase with inflation leaving schools, many with budgets already ‘on the floor’, unable to cover costs. In addition to this, the National Funding Formula will see a flat rate given to schools which will not address the needs of those who are already in deficit. Earlier this year Russell Hobby, General Secretary of the National Association of Head Teachers (NAHT), described the state of school budgets as “close to breaking point”. This has come at a time when the school population is set to rise by 8% between now and 2020 and many buildings are in urgent need of repair. The overall costs set to hit mainstream schools stands at a staggering £3.0bn with 98% of mainstream schools set to have a loss in funding for every pupil between now and 2020. In short, these are largest cuts to education for decades. These cuts will not only result in a narrowing of the curriculum and larger class sizes but will also see schools struggle to make ends meet and cover staffing costs. Many schools have already had to make redundancies, with things only set to get worse. In rehashing an archaic and divisive model of education, it should come as no great surprise that Justine Greening, Secretary of State for Education, was heckled and jeered as she addressed the recent annual conference of the Association of School and College Leaders (ASCL). Angela Rayner, Labour Education Secretary has branded the Grammar School revival a “vanity project with no evidence it will help children move on from socially deprived backgrounds.” But then given the track record of the Conservative Party, should we expect anything less. Cameron shocked at private school grip on top jobs!? If a new article’s been posted up, then there must be someone working at Left Futures this morning? If so, can you please delete the racist “Zenobia van Dongen” from the “Britain isn’t booming” thread. His racist Islamophobic rants have now been up on that thread for three days. Please can someone delete them? I second that, Karl. Islamophobic posts like “Zenobia’s” should be deleted, and the poster permanently banned, as soon as their racist motive is revealed. I’m not at all sure what is going on with this site at present. I’m still automatically excluded under my usual “John Penney” posting title ! As I suspect are many other regular posters. The racist posts on the “Britain isn’t Booming” thread have now ,finally, gone ! Hopefully the Zenobia van Dongen Troll is permanently banned. Unacceptably slow work by the site manager/s. The Far Right will have noticed their dodgy posts can be up for days. A fair survey of the issue, illustrating how deeply reactionary May really is.But Labour’s position, as I understand it, is still for no NEW grammar schools.Why? Why can’t we continue and complete the process begun under Harold Wilson and abolish selection at 11+. I know that polls are somewhat ambiguous on this, but Labour voters are mainly opposed, and for most people it is not an issue, as existing grammars cover only 7% of the population.Our position on this is no better than that of the Blair and Brown governments. I would like to echo Peter Rowlands’ point. The Tory plans must be explained and denounced and Naomi Fearson does both of those things. But that is frankly the easy bit. Far more difficult is to say how we should get out of the mess which has been created since 2010 with the fragmentation of the school system and the dismantling of local authority involvement in education. What is Labour doing? As far as I can tell the answer is “next to nothing”. Labour’s policy is indeed so weak that, as Peter says, it still can’t bring itself to commit to ending selection at eleven and therefore ending grammar schools. It has not even committed to a clear policy for the restoration of local democratic framework for all state-funded schools. This is a clear case when good leadershi on the issue could act as a focus for national campaigning. Instead Labour ran a short-lived campaign which stopped at demanding no INCREASE in the number of grammar schools. I offered Left Futures an article on this about a week ago and I am still waiting to know if it is going to be used. Labour needs a shake up on this issue because its performance and lack of ideas are both lamentable. Education for the Tories and the rich and powerful is perhaps about reproducing and enlarging their class forces, it could be argued it has nothing to do with children reaching their full potential and nurturing the critical thinking citizens of tomorrow. It is functional to capitalism and its latest form Neo-Liberalism – they want a Wheat and a Chaff – the Wheat predominantly middle class kids to manage capitalism (and with Grammar School kids not to particuarly question things) and the Chaff to do the mundane work which is equally essential to the system. 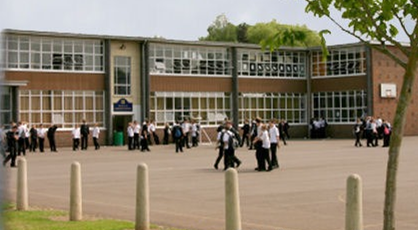 And Grammar Schools create a group who think they are special (reinforced by each other and their teachers) based on exams (elaborate memory tests) after often the middle class do everything they can to try to create an unlevel playing field – private coaching, harnessing middle class social network etc. But I am with the school of thought that belives that there is no such thing as intelligence – if you are comfortable, financially secure, encouraged, yes and loved then you have every chance to enjoy learning things. I come from poverty and got HE qualifications as a mature student but learnt most in life from life experience plus political campaigns and reading and labour history plus trade union battles. So we need to scrap SATs and let teachers teach, work in partnership with the education profession, bring education back under the control of local authorities, and turn all schools into DEMOCRATIC SCHOOLS – accountable to LAs and we could have governers elected by the whole community in catchment areas. And end all tax relief and subsidies on private education and public schools, middle class Hayek once argued “Welfare is tyranny” so perhaps we should liberate the upper class welfare state recipients from their tyranny so they can stand on their own two feet! But we need a Left JC Government to eliminate poverty (4m kids, 30% of kids live in poverty) which potentially restricts their life chances. We need a genuine and progressive education system that nurtures the critical citizens of tomorrow (including for adults and Lifelong Learning) and perhaps this is what the Tories and the rich and powerful fear! “To the oppressed and those who fight on their side” – Paulo Freire. PFI is also hitting a number of school’s very hard right now (thanks to New Labour of course). I know one school with 20-odd years to run on it’s PFI and where many support staff were forcibly transferred to the PFI builder and where the yearly PFI payment it has to make to the PFI company is a tad under a million quid a YEAR, this comes directly out of the per pupil funding figure of course. On grammars, there is very little support for them within education, and that includes from academy heads, but there is support among the public based on misconceptions of what they actually achieve (the stats show they are even worse for bright kids from poor backgrounds when you look at the areas of England where they have never gone away). But it is interesting that most fee paying independent schools themselves use the comprehensive education model (a small minority have academic selection, but in most selection is based on the size of the parents bank accounts only), albeit normally a properly funded and resourced type of comprehensive with small class sizes and good facilities – which takes us back to the fact that we need to make this primarily a battle over funding. I’m convinced, having spent a decade opposing selective education in a very small way that no child really passes the 11+. It’s if their face fits. That’s why Labour should never accept a watered down version of the test. I would also argue that having lived in a selective area with deep child poverty, economic inequality seems quite deliberate. Without the notion of meritocracy there would be no ‘better’ schools for poor families to aspire to.